As a child, our family would occasionally take a short car ride up to Morraine State Park. It’s situated around a large lake, Lake Arthur. We would find sticks to draw pictures in the sand, take off our shoes, roll up our jeans, and splash in the water, and run around the spacious green lawns for hours, stopping only to climb trees. Fine real estate lined the other side of the lake, and sail boats would whisk around in the wind. We’d leave just as the sun was setting, turning the waters orange and pink. This weekend I’m going to go relive some of those memories with my own children. 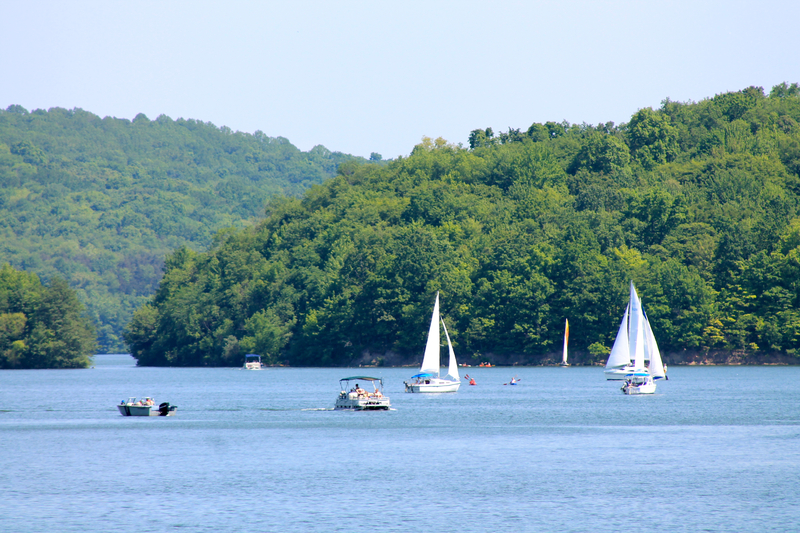 The 2014 Regatta at Lake Arthur is in its 16th year, and will be happening on August 2nd & 3rd. It will be a little more grandiose than my childhood memories. There will be races of all kinds, from paddle boarding to catamarans to puddle boats to MECA, which is a triathalon-ish event. There will be rock walls to climb in addition to the trees. There will be music, and the Pittsburgh International Children’s Theater will be performing story time. Saturday will end in fireworks. Sunday will end with the release of 200 butterflies. While there are a few events that you have to pay for, most of it is free, including parking and general admission. For a full list of events, including a schedule and which happenings are free vs. pay, check out the Regatta at Lake Arthur’s website. This entry was posted in Pittsburgh on July 29, 2014 by femmefrugality. That sounds like a really fun way to spend a day, and pretty cheap, too. Have a great time! Thanks! Did you ever make it up here in your Pittsburgh days? Sounds like a place you’d love… so many ways to enjoy nature. It’s a great excuse! Hope to see you there! Wow, that area looks and sounds absolutely beautiful! I love the picture! It really is, Alexis! We’re lucky with some beautiful land in this part of the country. I hope you’ll write about the experience of taking your kids to a place that was special to you in your childhood. If you haven’t done this already, it’s pretty cool. They might do some of the same things you remember doing.